[Update, 11th Aug]: Here is MSRC response. This entry was posted on Friday, August 6th, 2010 at 11:02 am and is filed under Assembly, Debugging, Reversing, Security, Win32. You can follow any responses to this entry through the RSS 2.0 feed. You can leave a response, or trackback from your own site. This has been inevitable, since MS first tried to resolve NT performance issues by hoisting a tonne of user-mode code straight up to the kernel – a massive security disaster. I’d bet anything there will be a huge number more of bugs yet to be discovered in NTGDI. Only reason we don’t see more of them is the limited number of people researching the area, it’s not because the bugs aren’t dense. 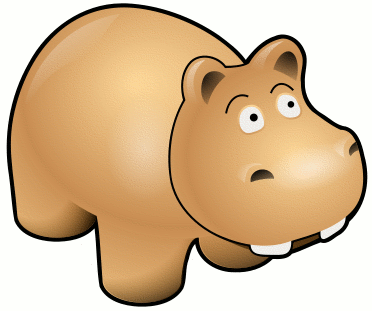 oh, ps: respects to the hippo. we like hippos! Anyway, it’s really funny for me to read that people say it’s exploitable, I am waiting to see an exploit, in the code execution sense. This is not trivial since every fourth byte that is copied is the value 4. And the memory block gets allocated per call, very hard to have any assumptions on it. But who am I to judge if Vupen said it’s exploitable, LOL. Another thing – no one said how to temporarily avoid this vulnerability from occurring, if you change the clipboard access, or the access to change resolution then you’re good to go. Does look tricky to exploit, but i never like to assume, somebody clever might always come along and do a gobbles on you…. I know, I played with it myself. Still curious, if anybody is able to do it. Seems like Immunity guys did it, Arkon. Can’t wait to see it then ! So MSRC actually succeeded into turning this into a local priviliges escalation exploit..
sweet.. it could have worth a lot of $s..